Printable cursive charts for kids. Farm Animals and alphabet tracing letters. A to Z Cursive alphabet chart in PDF with Farm Animals Pig, Sheep, Cow and Rooster. 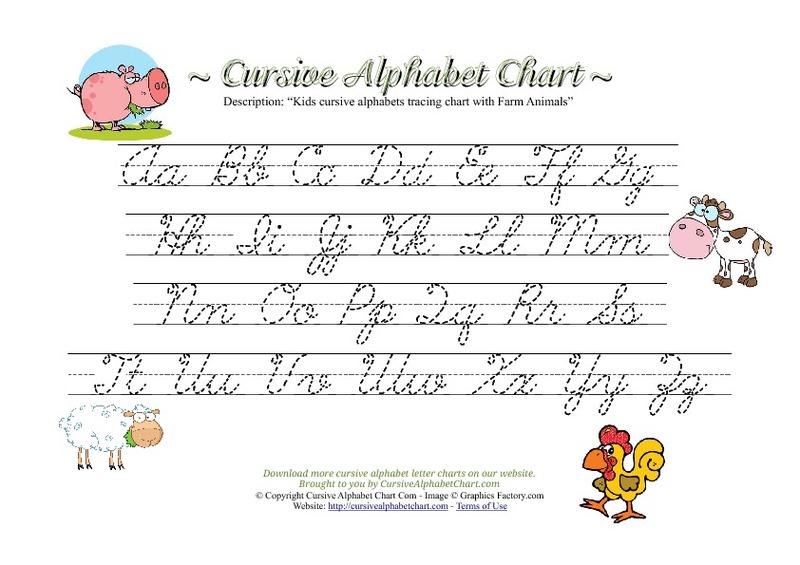 This Farm Animals cursive chart for kids is available in uppercase and lowercase format. Farm Animals cursive alphabet chart with tracing guidelines to print in A4 ( landscape ) printable format. Suitable for teachers and children for school and home use. 1 chart with alphabet letters A to Z.